At church on Sunday we showed the video that some of our primary school children have been putting together recently. You can watch it again by clicking on the video above. We have been highlighting some Bible reading plans and some helpful Bible reading apps at the beginning of this year. We also wanted to make a few suggestions for resources that might be helpful for those of you who want to read the Bible with your children. In our last blog post we highlighted some useful Bible reading plans that you can use to help you read the Bible in a year. Along with the Bible reading plans, there are some really exciting apps available which some of you may find beneficial. Below we’ve reviewed five of the best Bible apps that can be downloaded on iOS and Android devices. At church on Sunday night we mentioned that there are several helpful resources available for reading the Bible through in one year. While it is possible to start at Genesis and keep going, it is probably better and easier to follow a plan that incorporates portions of both the Old and New Testament each day. Today's sermon on 1 Timothy 2:8-15 on men and women in the church will likely raise many questions. Some of the following resources might provide a starting point for your own study. Complementarianism is the view that that God has made men and women equal but complementary and that this leads to restrictions on women serving in some church leadership roles. Egalitarianism is the view that there are no gender-based restrictions on ministry in the church. As I said, although our denomination is egalitarian in practice this does not appear to be what the Bible teaches. Some might wonder why we do not take a more neutral position, recognising that Christians differ even within our denomination. In part it is because how we approach the Bible on this issue has massive ramifications for many other issues also. This is helpfully explored in the following round table discussion between Tim Keller, Don Carson and John Piper - three excellent Bible teachers you will often hear quoted in Hill Street. This year's Irish Women's Convention is being held on Saturday 11 October 2014 from 10am to 3.30pm in the Assembly Buildings, Belfast. The theme is Contentment. 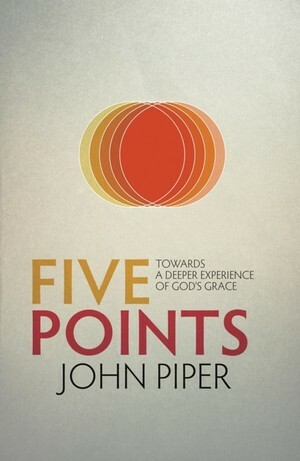 Recently at our midweek we mentioned John Piper's new book Five Points which explores what are sometimes called the doctrines of grace. These precious truths from the Bible underline God's greatness and our need. You can find more information the book and download a free pdf version here.